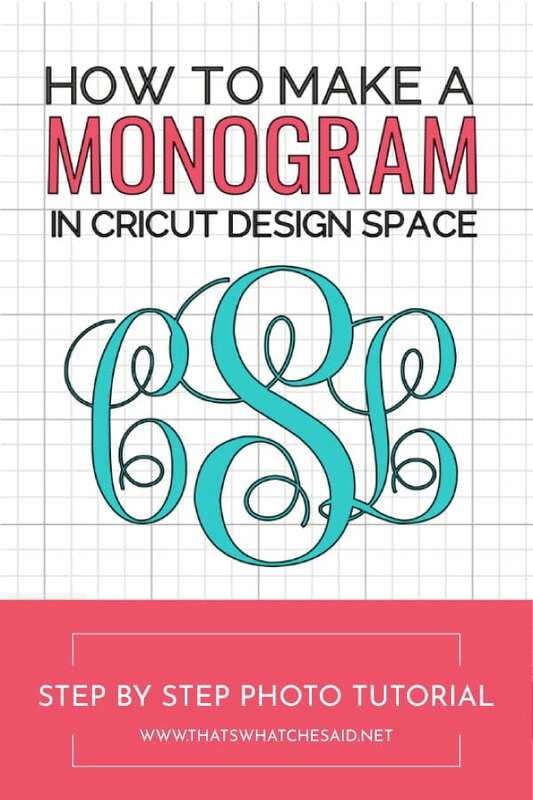 Are you a fan of monograms? 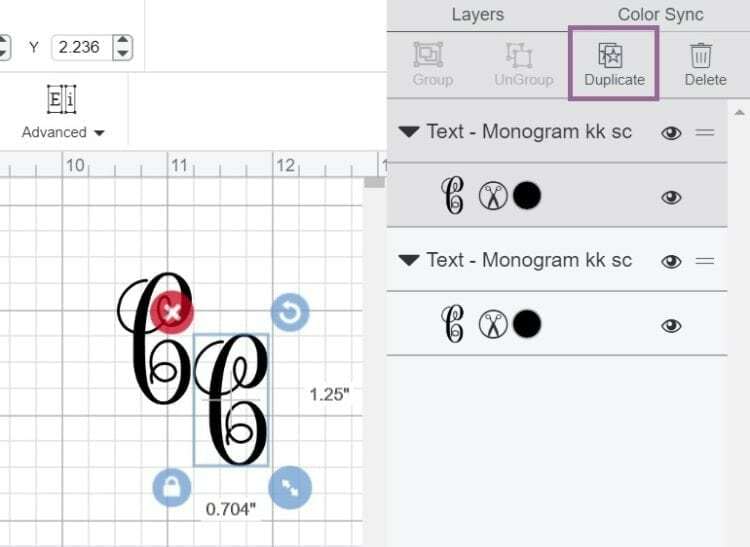 If so I am sharing all my tricks to teach you how to make a monogram using Cricut Design Space! You can carry this method over to almost any design program! This post may contain affilaite links. Using these link, I earn a small commission at no addiational cost to you. 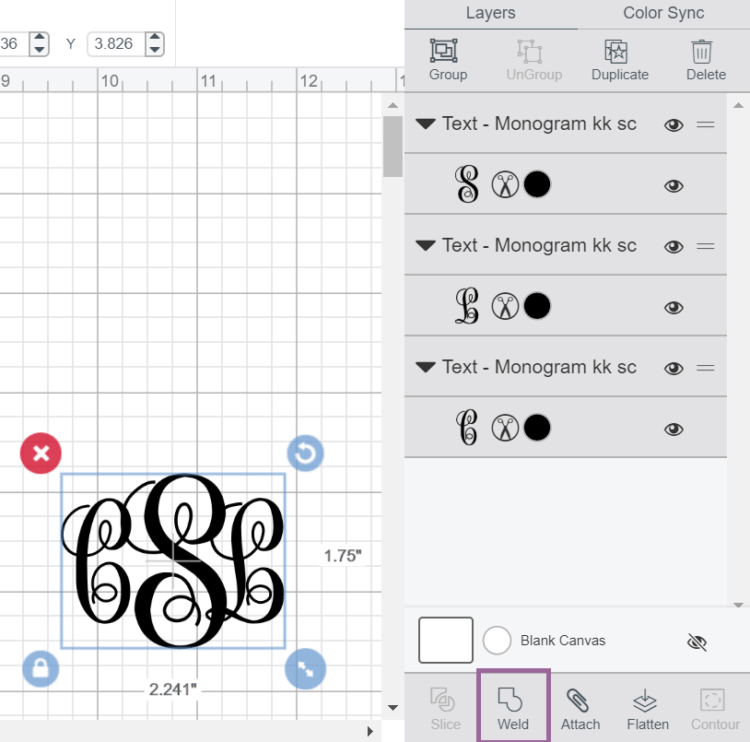 Monograms are a fun and trendy way to add personalization to any project! From wine glasses and coffee mugs to shirts and hats. 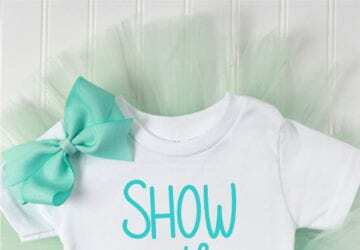 You may even see monogrammed car decals! 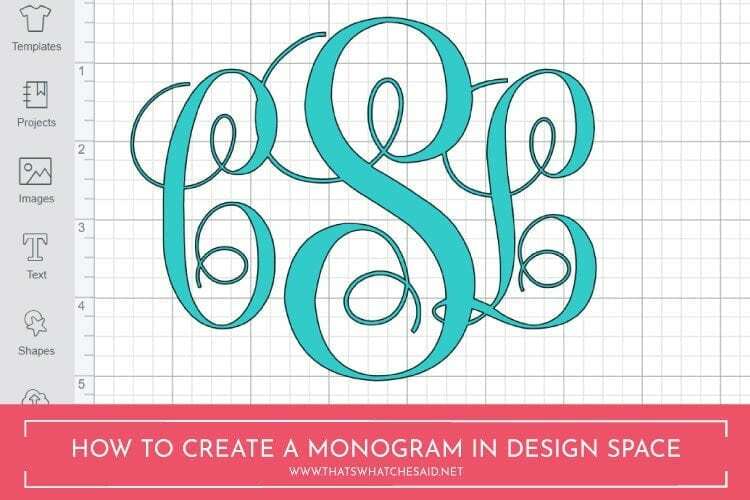 If you have a blank, a monogram can go on it! 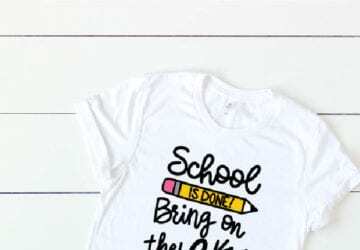 If you don’t already have Cricut Design Space you can download it for free here. You will first need a Cricut ID if you do not have one already. 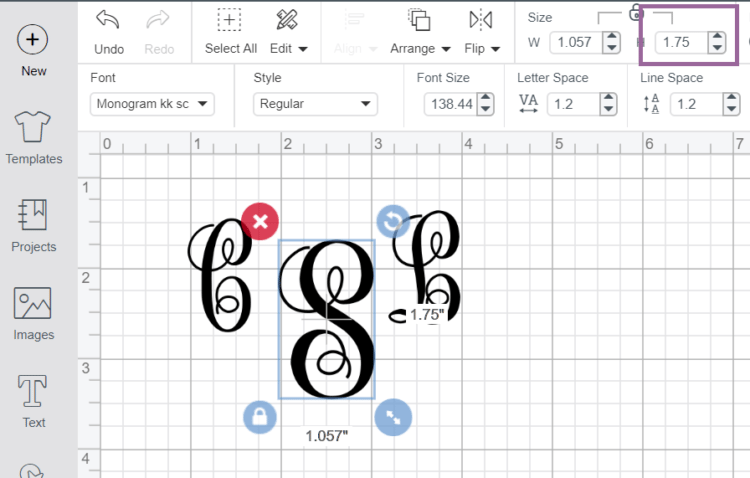 Download your favorite monogram font. You can find awesome ones on my 30 FREE Monogram Fonts post! Open Cricut Design Space to a blank canvas. Type your first name initial using the Text Tool. 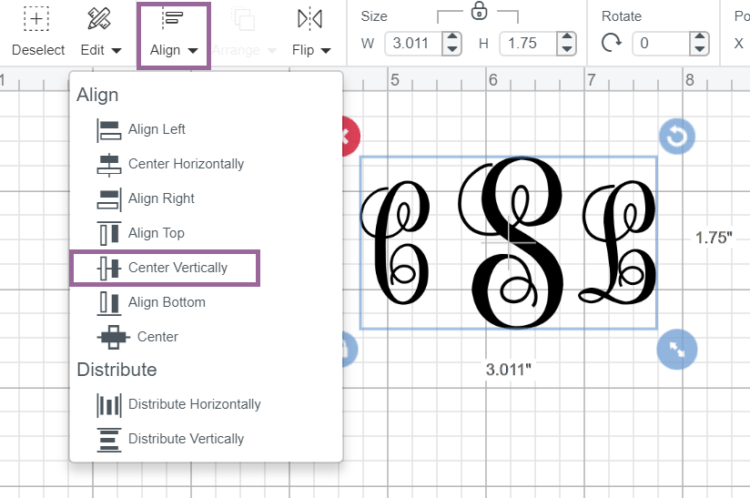 With the initial text selected, choose your font (Monogram) from the font drop-down located in the text layer panel. I like to size this first initial at 1.25 inches. While that initial is selected, click Duplicate in the Layers Panel and change the text to the middle initial letter. Repeat Step 5 for the LAST initial and change the size to 1.75 inches. For alignment, I like to start by selecting all three initials and aligning the vertical centers of the letters. From there I can use my mouse or my arrow keys to adjust as needed. Next, we want our machine to cut this design as one solid piece, not cut each piece separately so we will weld them all together so we get a solid design. Select all three initials and choose the WELD tool in the bottom of the Layers Panel. Make it! Cut your finished design! 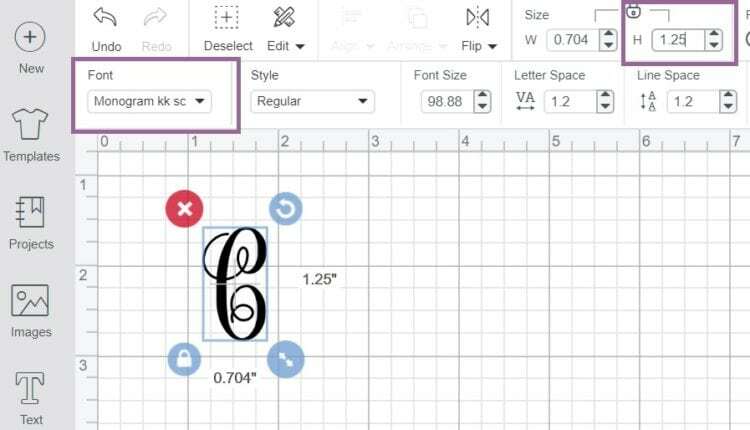 If you think you will use this again, don’t forget you can SAVE it in your projects in Cricut Design Space. NOTE: If using Iron-on, don’t forget to MIRROR your design! Thanks for the awesome tutorial. We’re Cricut newbies so every bit of guidance helps. 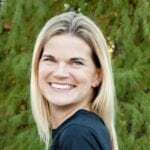 You are so welcome Kelly! Glad to have you along for the fun!